This past weekend was the 14th Annual Puget Sound Bead Festival. It was also 2nd Annual Chris Drives a Golf Cart Around weekend! For the second year in a row my job at the Bead Festival was to drive people back and forth from the Hotel Murano to the Greater Tacoma Convention & Trade Center in my “Courtesy Cart.” We didn’t like the people we rented the golf cart from last year, so this year we went with a different company, though I couldn’t tell you the names of either company because that information has flown right out of my head. This one was so much easier to drive than the beast I had last year. It also ran much, much better, with the fantastic feature of turning completely off when it wasn’t moving, only to spring instantly to life the moment the accelerator was touched. It was much more maneauverable as well; I could easily go up and down sidewalks and dart around sandwich boards and street signs as if I were playing Mario Kart. 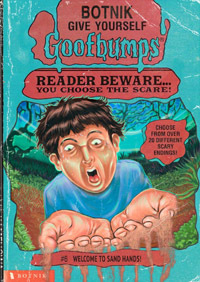 Which I wasn’t. Sure, I never actually needed to use the golf pencil, but it was very considerate of them to put one in like that! 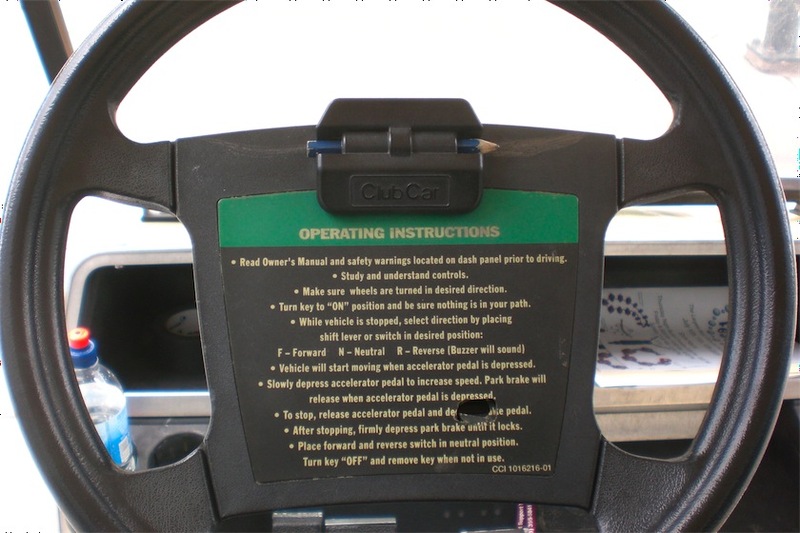 Also, as you can see the instructions for how to operate the vehicle were very clearly laid out for you on the steering wheel as well, except for the letters “press br” in the words “depress brake,” which had been obliterated by a neat little hole at some point in the past. So anyway, it was a lot of fun running back and forth in that little thing. I didn’t get as many tips as last year, though, but ah well. 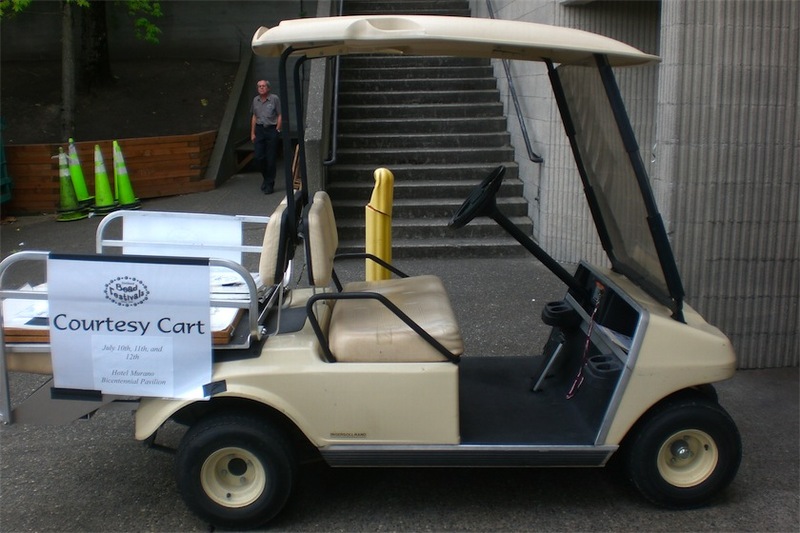 Tags: Golf Cart, Greater Tacoma Convention & Trade Center, Hotel Murano, Puget Sound Bead Festival. Posted by Christopher Grant Harris at 10:22 pm.